IDENTITY CRISIS Weisz does her best to make something mysterious and thought-provoking out of this messy saga of a globe-trotting shapeshifter. The Unbearable Lightness of Being Somebody Different Every Few Years for the Most Pretentious, Hyper-Corny Reasons Conceivable would have served as a far more apt title for this third feature from Joshua Marston (Maria Full of Grace). With the accent on "unbearable." 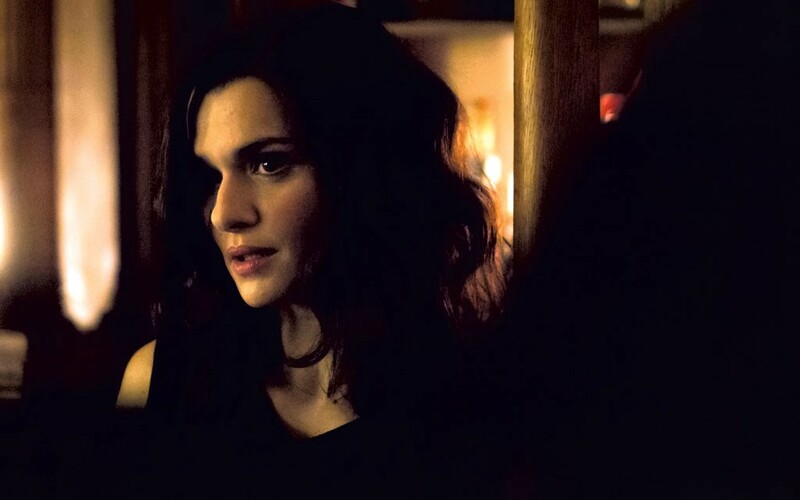 Complete Unknown accomplishes the unthinkable: Against all odds, Marston has somehow managed to make the fabulous Rachel Weisz — and even, for God's sake, Michael Shannon — tiresome. Cowritten by Marston and Julian Sheppard, this is a story that pretends to have a lot more on its mind than it really does. Marston poses as a cinematic philosopher unpacking Big Questions about the nature of Identity and how to discern the Real from the Unreal. These are, of course, riddles that have been explored in countless pictures throughout the history of the art form. The more pressing question is how the director got the green light for a project that offers virtually zero answers. The film's title is obviously an allusion to Bob Dylan's "Like a Rolling Stone," to which its single and tenuous thematic connection is provided by Jenny, the character played by Weisz. She dated Shannon's character, Tom, 15 years earlier, only to disappear without warning and embark on an enigmatic world tour. A classical piano prodigy in her youth, Jenny rebelled against that role, for reasons never explained, by relocating and reinventing herself every few years in another corner of the planet. In an opening montage, we see Jenny as a hipster in Portland, a trauma nurse in an emergency room, an American teacher romantically involved in Australia, a woman conducting surveillance on an Ohio home, a botanist fresh from the Amazon rainforest and a magician's assistant in China. Marston apparently has never met a cornball metaphor he didn't like, so it goes without saying that, in that last clip, Weisz is shown performing a trick that concludes with her disappearing through a trap door. Get it? Shortly afterward, we catch up with Jenny living in New York and working at a lab, where she dissects leeches and records the songs of rare frogs. Not surprisingly, we never do get her job title. Her real reason for returning, though, is to reconnect with Tom. Texting him would be too easy. Instead, she befriends his boss (Michael Chernus) and gets herself invited to his birthday party. Tom recognizes her immediately but says nothing, what with his wife (Azita Ghanizada) seated at the same table. "Alice," as Jenny is currently calling herself, says a great deal, however. The final two thirds of the movie, in fact, pretty much consist of her talking about herself, first at the party and later when she and Tom sneak out on the town together. Tom: "How do you even keep track of them all [her incarnations]?" Jenny: "That's not the hard part. When people think they know you, they lay claim to you. You're trapped. That's the hard part." For a movie about a femme fatale who roams the globe trying on new lives, Complete Unknown never really goes anywhere. Tom asks the same questions of Jenny over and over. And Jenny gives the same tedious answers over and over. Even with these first-rate leads, you're likely to be glad when it's over. Complete Unknown plays Friday, September 23, through Thursday, September 29, at Catamount Arts in St. Johnsbury. Complete Unknown is not showing in any theaters in the area.